The weather this morning really got my mind working on what riding a motorcycle means to me. It is still Winter, but with a warm day I am reminded that Spring is just a few weeks away. One thing I thought about is that riding is at it’s simplest not a convience. Grabbing your car keys, hopping in your car and driving away is a convienence. 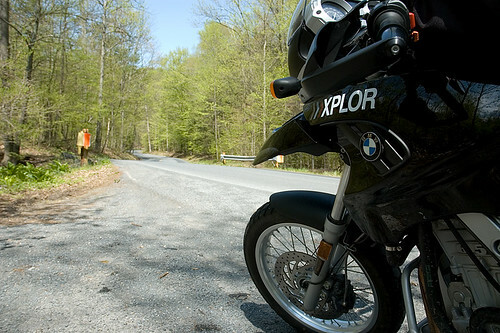 Choosing to ride adds complexity to transportation which makes travel an adventure every time. I enjoy looking over my motorcycle before a ride. Checking the lights and tire pressure. Knowing that I have the tools to fix almost anything that could happen on the bike gives me a sense of responibility. I enjoy lacing up my boots, slipping into my riding pants, pulling the riding jacket on, slipping the helmet over my head and pulling my gloves over my hands. Pull the bike off of it’s center stand and throw my leg over the seat. Turn the key to the on position, pull in the clutch and hit the start button. The engine of the BMW purrs to life ready to take me anywhere I want to go. There is no protection from the elements when you ride. That’s why it is important to be ready for anything. I carry my rain gear with me and have pulled off under an overpass more than once to pull this rain gear over my riding gear. Then I continue to ride. There are places to go and things to see. No need to wait for the weather to clear. The looks from the people I pass as they travel in their cars and trucks, protected by a rood and windows, is simply priceless. And better yet, passing a group of riders who are huddled under an overpass waiting for the rain to stop. Just ride!